The Assassin’s Creed franchise’s emphasis on telling a modern-day story alongside its historical tales has never been favored. However, the modern-day missions became particularly divisive after Desmond Miles’ death in Assassin’s Creed III. Interestingly, Origins brings the character’s story back into the fold, due to the actions of Layla Hassan. 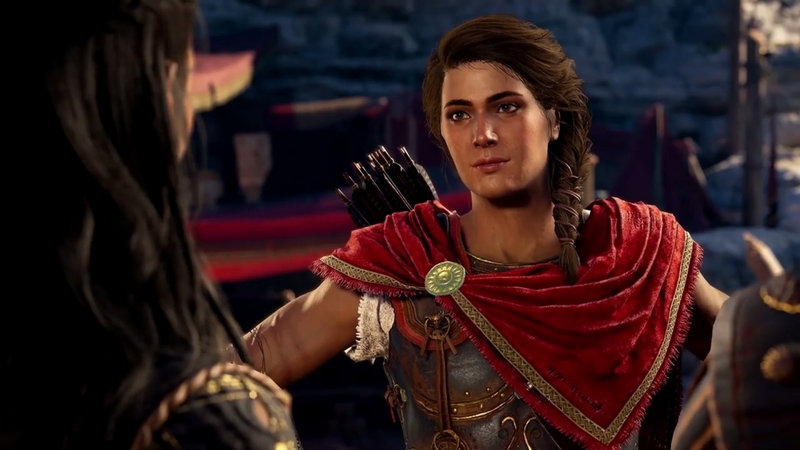 It won’t be the last we see of Layla either, as she’s set to return in Assassin’s Creed Odyssey. During an interview with GameSpot, Assassin’s Creed Odyssey’s Creative Director, Jonathan Dumont, said content set in the present will act as a continuation of that in Origins. [Assassin’s Creed Odyssey’s modern-day story] is definitely a continuation of Layla’s story, and it will evolve the story quite a bit. You’ll get some character development in there. She’s going to change and take an adventure that goes to places that you don’t expect, which is an interesting way of looking at it. Layla was introduced in Origins, but now we’re digging into what she’s looking for. I don’t want to talk too much about it because when it comes to the present-day, some people like it, some don’t. You know how it is. But the way we do it is if you want to dive a little bit more into it, you can still explore, and we have optional dialogue choices you can pick to ask more questions about what’s going on. Or you can choose to get it pretty straightforward, but we do have a little bit more action thrown in as well to keep it engaging for those types of players too. Based on Dumont’s explanation, it seems that fans who want to speed through the modern-day story will be given the opportunity. Meanwhile, those interested in extensively exploring the present happenings of Templars and Assassins can do so at their leisure. In addition to the modern-day content, there will be plenty of other things worth exploring in Assassin’s Creed Odyssey. This is especially true given the map’s incredible size, which Ubisoft Quebec has filled with a variety of quests and content on the high seas. Assassin’s Creed Odyssey launches on the PlayStation 4, PC, and Xbox One on October 5, 2018.